My Thots: Oil production in Lagos State: Road to increased income or resource curse? Oil production in Lagos State: Road to increased income or resource curse? 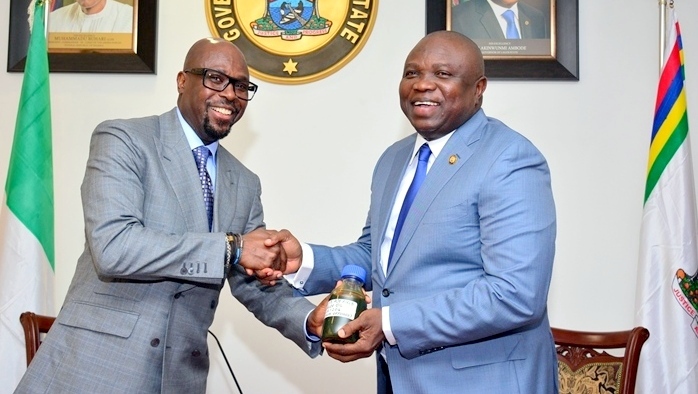 It was with mixed feelings that I welcomed the news of Lagos becoming an official oil producing state. According to the news report which was widely published across Nigeria’s print media, the new find in Lagos will enable contribution of at least 12,000 barrels per day to the country’s current more than 1million barrels per day output level (having given allowance for expected and unexpected decline in production) resulting in about 1% of crude oil that will be made available for sale to refineries within and outside Nigeria. Being aware of the total installed capacity of our four refineries, which is 445,000 barrel per day, one is left to reason that most of the oil extracted will end up outside the reach of this country. One thing is however certain with the exportation of crude oil outside the shores of the country, and that is the receipt of petrodollars. It will be important to ask the question - how will Lagos fare in the event of securing access to petrodollars, be it in state allocation from federation accounts or direct payments? There is certainly an obvious answer to this question. Of course, Lagos will have increased income and as we always say, available funds to embark on development projects. If we however, consider the question based on hindsight from Nigeria’s experience with petrodollars since oil was discovered in Oloibiri in 1956, the more likely response to question will be contrary to the readily conceivable reply. Associated with petrodollars is also the dreadful resource curse. The resource curse theory posits that countries that collect rents from exploration and sale of natural resources do not fare well in terms of real economic growth unlike other countries without natural resources. Again, of course there are examples of countries that have escaped the resource curse. Norway is a shining star of what a country can derive from accrued oil rents and the United Arab Emirates is another fledgling example. A key characteristic of an oil-based economy, and one of the factors that lead to the resource curse, is the dwindling cognizance of residents living within the oil producing jurisdiction. With the land laws awarding supremacy to governments; manning of oil production by transnational corporations and; receipt of petrodollars by governments, what use then will be of citizens, who, combined together might have annual earnings representing a minuscule fraction of government’s monthly petrodollars? What use will there be to institute a working tax system and invest in human and material capital necessary to make it efficient? This is the bane of oil dependence. Petrodollars has the likelihood of breeding a government that has no need of its people. The question can be posed again, how will Lagos fare? If we decide to consider this from the perspective of the people of Lagos and not the account books of Lagos, we can know that there is danger looming. However, from the examples of countries that have escaped the resource curse, we also know that the danger is not imminent, but can be averted. What can the government and good people of Lagos do to prevent heading in the direction of slow economic growth like that of other Nigerian oil-producing states? Firstly, it needs to strengthen its tax collection apparatus. This step will aid a rights-based approach to development of the state by ensuring residents feel connected to the state’s spending and will not feel out of place to demand their rights. Secondly, residents need to ‘follow the money’ and keep the government on its toes. Withdrawals and expenditures should be duly accounted for and funds earmarked for capital expenditures should be expended on the said projects. Thirdly, the government needs to prevent an attitude of rent-seeking (a.k.a sharing the state cake) that may lead to businessmen and women abandoning their thriving ventures. Finally, the government must invest heavily in development capacity of Lagosians in oil extraction and other attendant disciplines. It should also set a timeline for achieving technological expertise in oil exploration and refinery. To end this article, I will draw from a Yoruba saying that, in a way describes what happens in an oil dependent economy that receive rents and is heavily reliant on transnational corporations for oil extraction - owo ti a s’ise fun ni a ma na n'ina kuna – i.e. it is the money we have not worked for that we spend anyhow. Let the government and good people of Lagos therefore not desist from working in order to make earnings and if Lagos state is to fare well from oil earnings, it needs to ensure that the people engaged in oil-related jobs within the state, are dominantly Lagosians.